DDoS (Distributed Denial of Service) attacks can be described as one of the most prevalent and dangerous cybersecurity threats impacting businesses today. 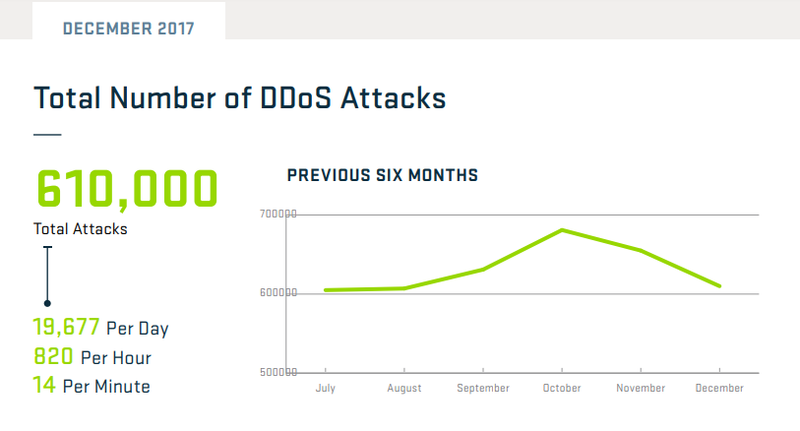 According to a report published by Arbor Networks ATLAS, there have been at least 610,000 cases of DDoS attacks affecting markets around the world from July 2017 to December 2017 (6 month period). The cost of every one the above-mentioned DDoS attacks can be devastating. A risk assessment report published by Kaspersky Labs estimates that the average cost of a DDoS attack on small businesses is $106,000 and over $1.6 million for a large enterprise. Australia is now one of the top 10 countries where businesses are targeted by DDoS (Distributed Denial of Service) attacks, according to recent research published by Netscout Arbor. In 2017, 22% of all cybercrime activities targeting victims in Australia were DDOS attacks. So should business owners be concerned?